Fabien Fryns is a born art dealer and collector with an eye for talent. Originally from Belgium, he has been actively involved in the art world since 1986 from collecting art works as a teenager to owning F2 Gallery in Beijing from 2005 to 2012 to advising collectors and institutions through his company, Fabien Fryns Fine Art. What is more, having shifted his focus to Chinese contemporary art in 2000, he has developed an important network of relationships with blue chip and emerging artists working in China today. Fabien Fryns shares his story with Larry’s List on how he grew to be an art dealer, his move to Beijing and why he buys early. Fabien Fryns and his wife Lucy. Courtesy of Fabien Fryns. You first used to collect celebrated names in Western modern and contemporary art such as Jean-Michel Basquiat, Anish Kapoor, Keith Haring and Andy Warhol. Since 2000, you turned to Chinese contemporary art. What made you start collecting this genre? The first work of Chinese contemporary art I bought was “Family Tree” by Zhang Huan (150 x 100 cm (x8) edition), which I saw at ARCO Madrid in 2000. I bought it on the spot and hung it in my house. It was an immensely powerful piece. Sadly, it did not trigger the idea to go to China right away, since the artist was living in New York at the time. Yet, I did participate at the first edition of CIGE art fair in Beijing in 2004, upon the initiative of Chris Mao with whom I shared a booth. I had put on a solo show of iconic works by David LaChapelle, and even though the fair was not a great success, the energy in Beijing sucked me in and I kind of stayed and delved into the contemporary art scene there, which was rather small at the time, yet immensely exciting! From then on, I started to focus on collecting works by Chinese artists, mainly of those living in China, but also from Yan Pei Ming, for instance. I have a bit of an adventurous side when it comes to collecting as I tend to be very impulsive and take risks by collecting very early. Strangely, I act completely the opposite in everyday life. But when it comes to art, it seems that other side of me emerges. For instance, even though I was on a student budget, I bought my Basquiat in 1986, Gormley in 1987 and Kapoor in 1989. Additionally, some young artists I bought in China in 2005-2006 are only just starting to emerge on the market as hot promising stars now, such as Sun Xun, Cui Jie and Yuan Yuan, among others. I love art and I could not imagine a life without it. I would dread to live in a house without art, and life would be so boring if art were not a part of my daily activities. My parents started collecting Old Masters and a few contemporary artworks in the 1970s, so I was always surrounded with art and beautiful objects at home. I started buying art as a student at Le Rosey, and my friends started buying through me; and the gallerist I was buying from would also give me a work for free as a commission. Thus, the idea to sell art to buy more art developed from there. It’s a great luxury to be able to turn a passion into a profession, but I must admit that at times I would have preferred to have another source of income rather than art dealing to fuel my passion. In addition, I believe that the contact with artists is nicer from a collector’s point of view rather than from a gallerist’s point of view. In any case, if I were able to start all over again, I would not change a thing. 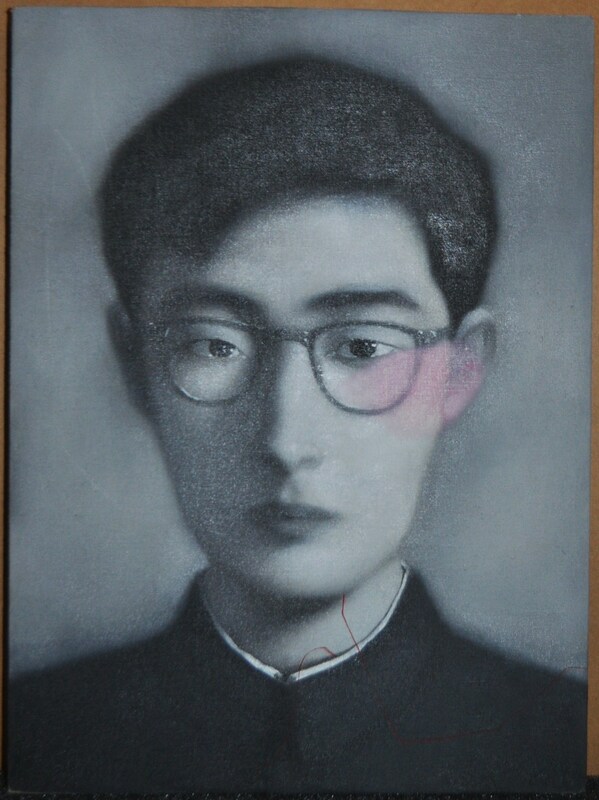 Zhang Xiaogang, “Bloodlines” (face). Courtesy of Fabien Fryns. How many artists and artworks do you own? I think I have about 500-600 works, all media combined, by approximately 200 artists. Which artwork have you recently acquired? Why? I recently bought the installation “HELP” by Li Wei (b. 1981) which I intend to display in the CAC in Malaga as a long term loan. I think that Li Wei is an extraordinary artist who will be one of the big stars of tomorrow and his work is still rather affordable. I increasingly like to work with museums, and I think this was a major decision making factor as I would not have been be able to display this work at home. I think I have only about 30 works on display at home in Beijing, and maybe only a dozen works in my home in Spain. Space is an issue in both houses. My wife Lucy and I actually decided to convert some windows into wall space in order to hang more works in both homes. Sadly, most of my collection is stored away. It’s my dream to bring the best of it together one day under one or maybe two roofs. No, but I have lent work to museum shows and continue to do so. Is there an artist or any kind of artwork that can make you write a cheque without hesitation? Yes, plenty, in all media, from all continents and in all sorts of budgets. The next work with which I will fall in love with and will hopefully be able to add to my collection. What is your biggest regret regarding collecting? Regrets are too few to mention! You once stated in an interview, when you collect an artist, you “collect over the years, all different series, different works and different media by the same artist”. Which artists have you collected this way? Any specific reasons why? Well, I do this whenever it is possible to do so, as some artists become too expensive for me over time. However, Zeng Fanzhi would be an example of who I collected this way. From 2004 to 2008 I bought nearly two dozen of his works from all different series, except the hospital series as this was too difficult to find already then. I love to collect in depth, especially when the oeuvre of an artist is quite varied. It just makes more sense to me, and it also often allows for a closer and more personal relationship with the artist. 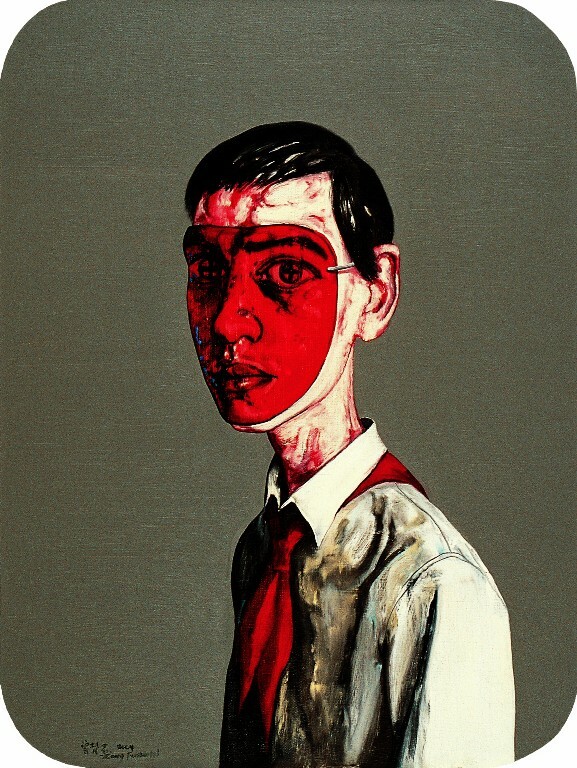 Zeng Fanzhi, Untitled N°3, 2004, 80x60cm. Courtesy of Fabien Fryns. You also mentioned that you prefer to develop a relationship with the artist, especially if you collect in depth. Why do you think it is so important to have a relationship with an artist when purchasing their work? Well, without the artist there is nothing! After all art is, above all, about enjoyment and human interaction for me; spending nice moments with an artist, smoking cigars, taking trips together, sitting in the studio watching him or her create. Such a personal relationship adds to the enjoyment a work of art gives me. What themes and motifs in contemporary Chinese art do you find especially compelling? There has been a huge shift in terms of aesthetics in the Chinese contemporary art scene. The works of most young artists today do not “look” Chinese at all. Nonetheless, I do like humour in art, as well as, dare I say it, beauty, in whatever shape or form this may manifest itself. Who are your favourite Chinese contemporary artists? There are too many to mention and different artists appeal to me for different reasons. Do you have any rule of thumb regarding when to collect an artist depending on the stage of his/her career? Somehow, I always seem to be put off when an artist is getting super hot and is at the top of everyone’s list. If in luck, I will already have bought work early on; and if not, then I wait until the artist goes out of fashion, which happens to nearly every artist during his or her career. 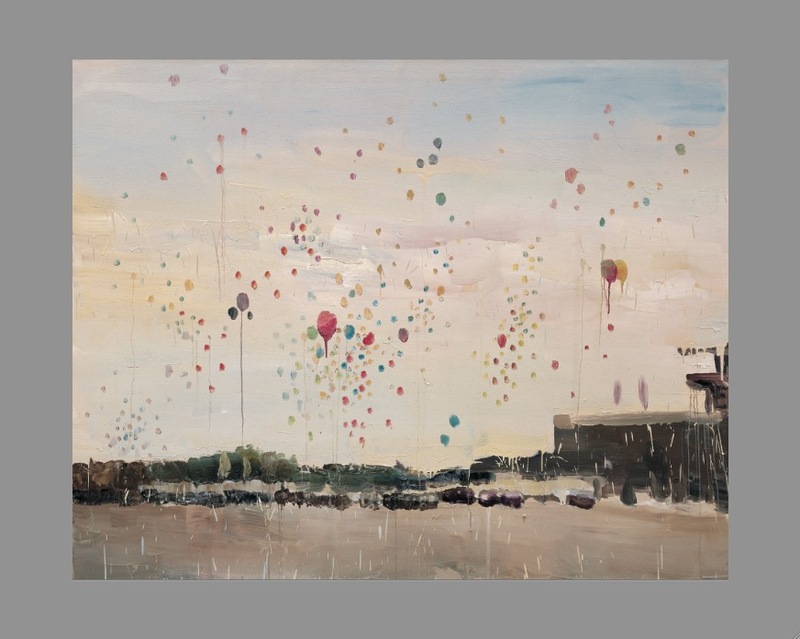 Qiu Xiaofei, “TianAnmen”, 2007, 200 x 250cm. Courtesy of Fabien Fryns. There have been many memorable moments, from buying my very first work to making my first sale to a collector, or buying or selling the most expensive piece to date. Nearly every purchase is a happy moment, no matter what the value of the work or the artist’s status. Overall, I think my happiest moments are, first of all, when a young artist I believed in early on hits “the big time”, and secondly the opening day of Zeng Fanzhi’s solo show at the Musée d’Art Moderne de la Ville de Paris in October 2013. What is your art world pet peeve? I generally tend to take a very long term vision when I collect artists’ works, and never buy solely for speculation. The contemporary art market has become a very rapidly moving market and I feel that many “players” consider art purely as a commodity and have little patience to reap the benefits and move on to the next hot thing. What future changes do you see for the art world regarding Chinese contemporary art? I think that this market is still in its early stages, despite the enormous price increases we have witnessed in the past 10 years. However, a lot of work still needs to be done to bring Chinese contemporary art to the attention of a wider collector base world wide. I am very confident in the ingenuity, creativity and longevity of the artists working in China today. Wang Qingsong, “Follow me”, 2003. Courtesy of Fabien Fryns. What advice would you give to young and fresh collectors? Look, look, look and buy with your eyes and heart, not your ears. Can you name (three) emerging artists, who should be on our radar? Lu Xinjian, Wang Yuyang and Zhang Ji. Feature image: Fabien Fryns and his wife Lucy, courtesy of Fabien Fryns.